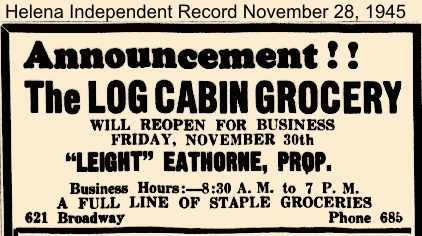 Seen in the above photo in late 1935, the Log Cabin Grocery was in business under various owners / operators from about 1933 to 1977. The modest little building dates from at least 1888, and is still standing. 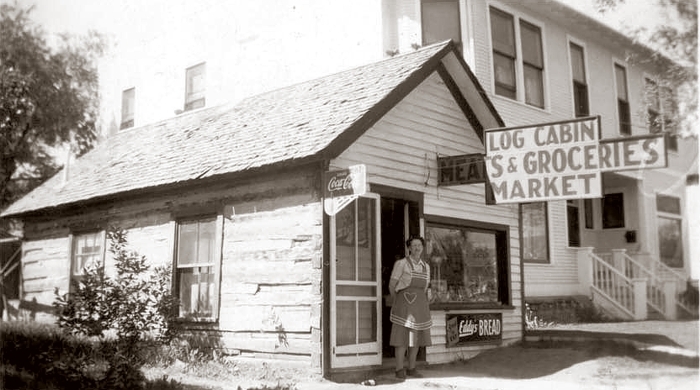 The log structure had siding applied to the front sometime before 1935, and was stuccoed in 1947. 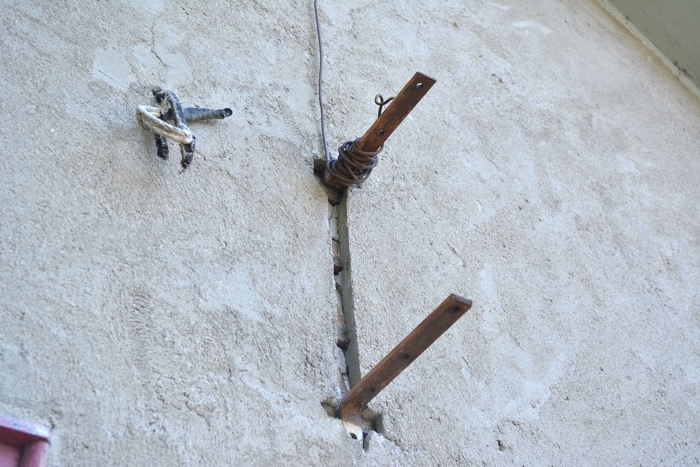 The above photo also shows 1935 earthquake damage to the duplex next door to the Log Cabin. 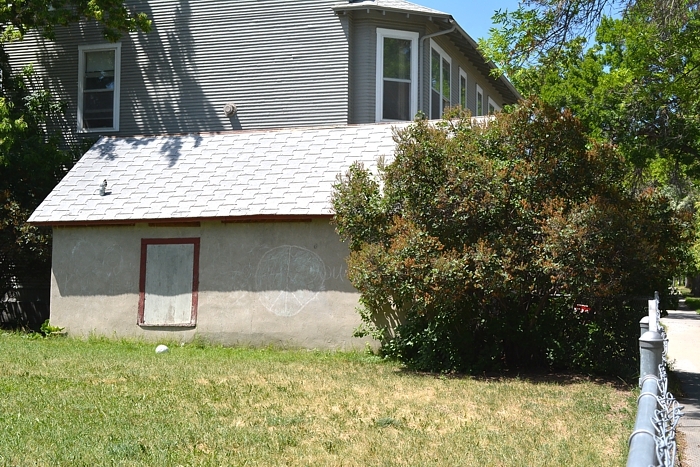 Bricks from the duplex fell on the market and, according to a newspaper account, caused a good deal of damage, although it is not evident in this photo. 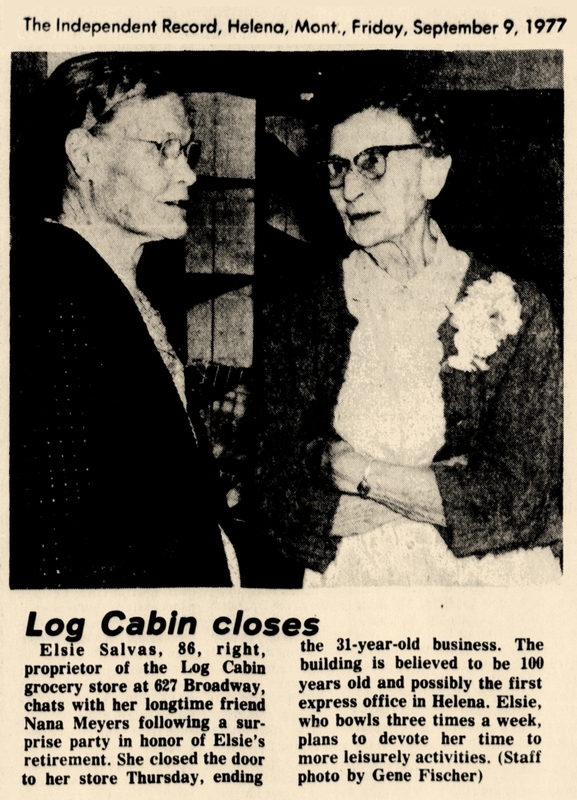 Mention is made in newspaper articles about the business that the old cabin was Helena's first express office, and was located next to a freight depot. I have been unable to find evidence supporting that claim. 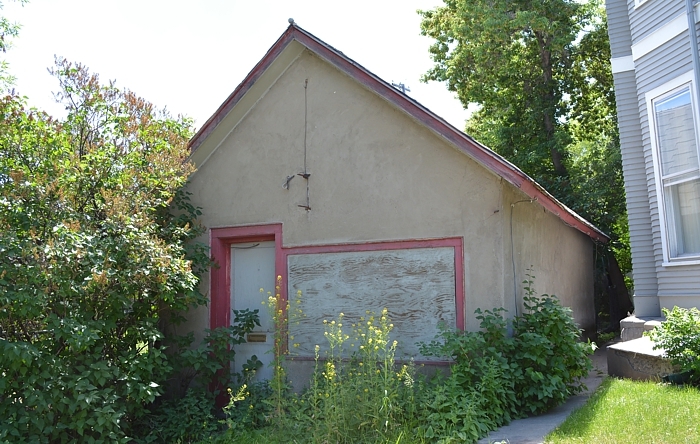 On the 1890 Sanborn Insurance map, the building is designated as a "log shed"; on both the 1892 and 1930 maps, it is shown as "vacant". 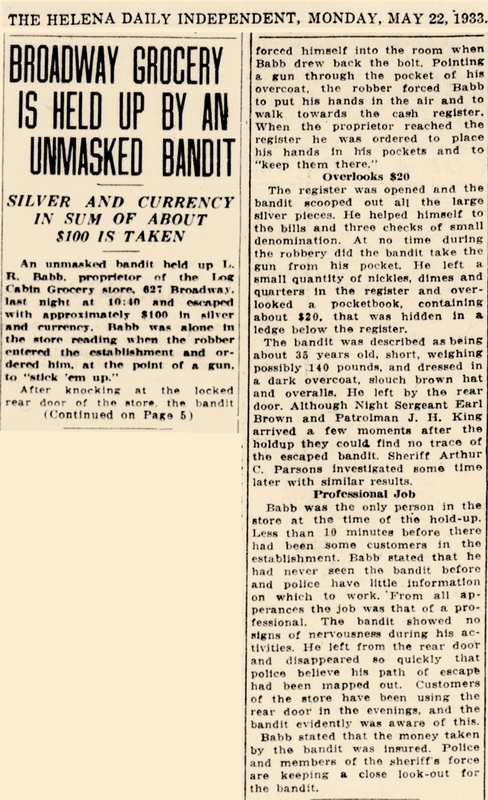 The first name found in connection with the store is Louis R. Babb Sr., who may have been responsible for converting the vacant building to a grocery store. 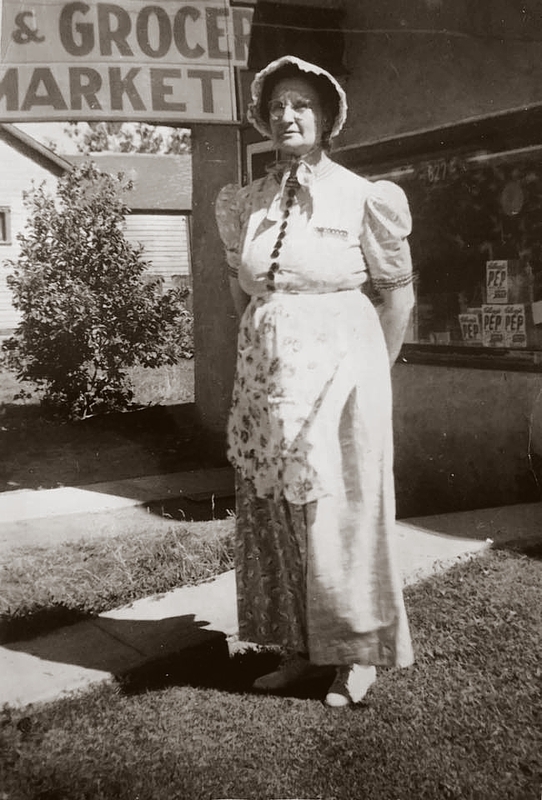 The store changed hands several times in the 1930s. Records show Edward H. Loney (1874-1961) sold in November of 1933. I presume he bought from Babb. 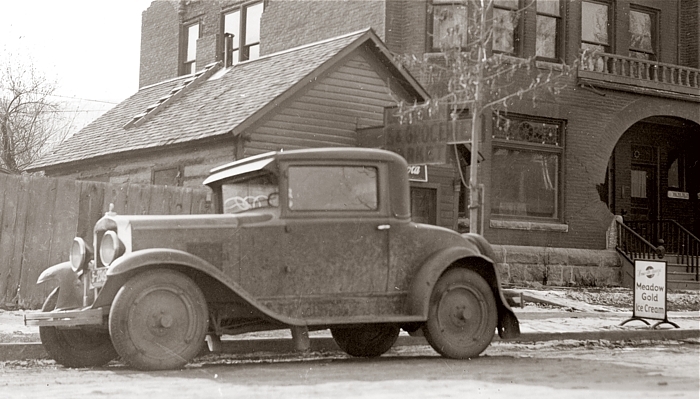 The store was owned (or at least operated) by Warren C. Raitt in 1935. 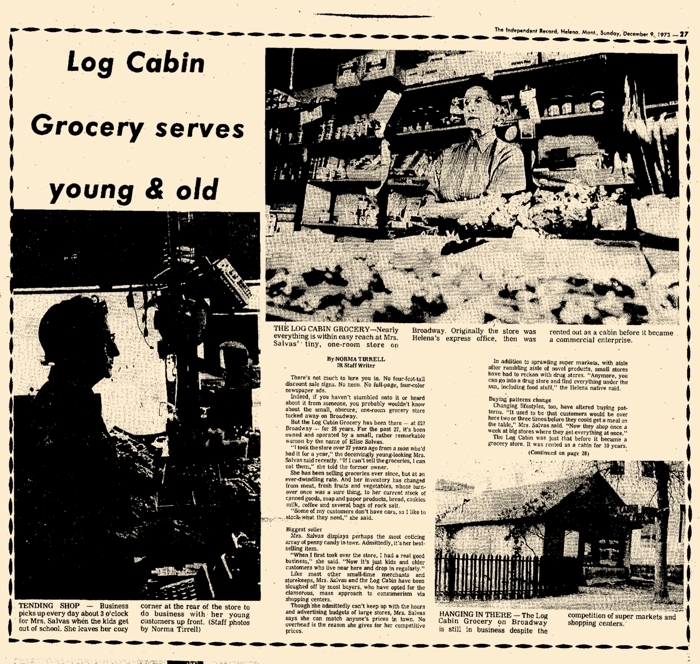 In 1946, Elise Marie Parent Salvas (1891-1984) took over the operation of the Log Cabin Grocery. 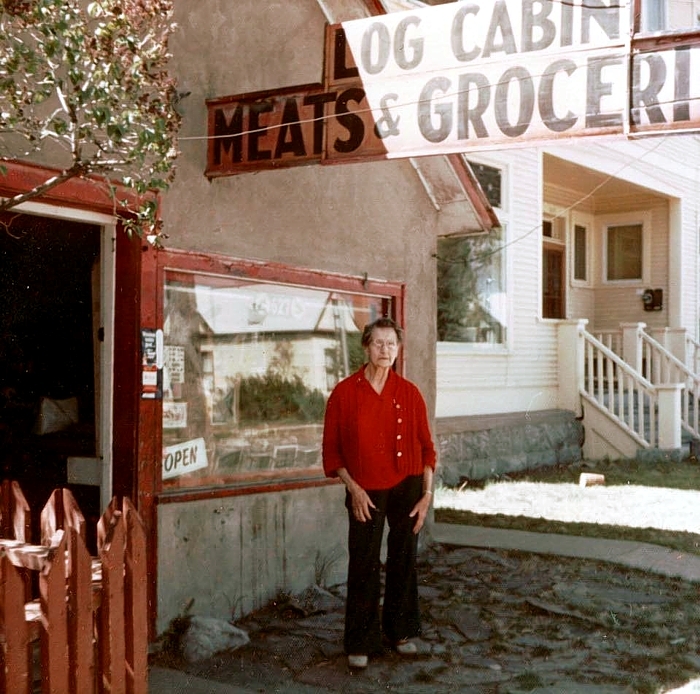 Widowed in 1943, Elise ran the grocery until it closed, in 1977.